 High quality antenna kit that contains everything you need to put up an efficient outdoor antenna for crystal sets, one tube sets, foxhole radios and shortwave radios. These kits are basically the same as the discontinued Radio Shack kits except we use extremely strong #14 AWG 7-Strand Hard-Drawn pure copper antenna wire for the antenna itself. This antenna wire will not stretch in the wind. It is also weather resistant. This is the same wire that is used on H.F. antennas for high powered amateur radio transmitters. This kit contains 75 feet of #14 AWG 7-Strand Hard-Drawn pure copper antenna wire, 50 feet of insulated stranded copper lead-in wire, end insulators, stand-off insulators, and a window feed-through strip. We liked the discontinued Radio Shack antenna kit so much that we are now making our own improved version of this versatile kit in order to make them available to our customers. This is the same antenna we use for all of our testing at Borden Radio Company. Spooled enameled copper magnet wire. Nobody needs huge quantities of magnet wire. All you really need is enough to build your projects. There is no need to buy and store pounds and pounds of wire when you can order just what you need from Borden Radio Company. 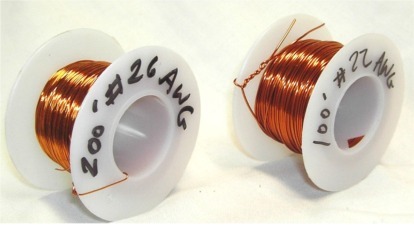 Right now we supply high quality double enameled copper magnet wire in the two sizes we use in our Radio Kits. These are #22 AWG and #26 AWG. The #22 AWG comes in a 100 foot spool and the #26 AWG comes in a 200 foot spool.